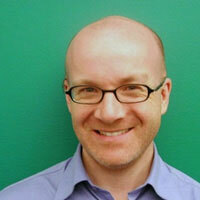 Andrew McLaughlin is a partner at betaworks, a technology and media startup studio based in New York City. He also serves as CEO of Digg and Instapaper. Andrew is chairman of the board of Access, a member of the boards of directors of Chartbeat, the Sunlight Foundation, and Public Knowledge, and a Future Tense Fellow at the New America Foundation. From 2009-2011, Andrew McLaughlin was a member of President Obama‘s senior White House staff, serving as Deputy Chief Technology Officer of the United States. In that role, Andrew was responsible for advising the President on Internet, technology, and innovation policy, including open government, cybersecurity, online privacy and free speech, spectrum policy, federal R&D priorities, entrepreneurship, and the creation of open technology standards and platforms for health care, energy efficiency, and education. In 2008-2009, he served on the Obama/Biden presidential transition team, as a member of the Technology, Innovation and Government Reform cluster. From 2004-2009, Andrew was Director of Global Public Policy at Google, leading the company‘s work on issues like freedom of expression and censorship, surveillance and law enforcement, privacy, copyrights and trademarks, regulation of Internet and telecommunications networks, wireless radio spectrum, national security, trade policy, patent reform, and online child protection. Andrew built and managed a 50-person worldwide team based in Brussels, London, Paris, Madrid, Milan, Berlin, Amsterdam, Stockholm, Dublin, Brasilia, Buenos Aires, Tokyo, Seoul, Beijing, Sydney, Ottawa, Washington, and San Francisco.